As of lunchtime Thursday, Indiana had 4,481,029 registered voters – a number East Allen County Schools likely will increase Friday. 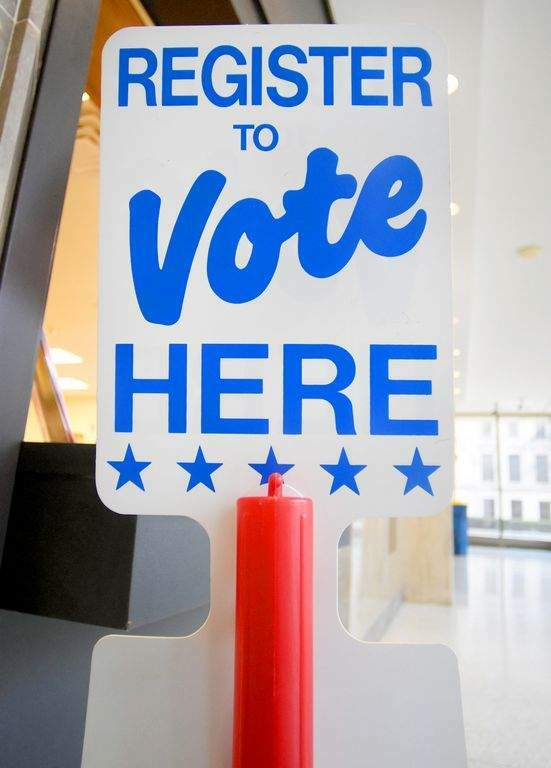 The district has partnered with the Fort Wayne Area League of Women Voters to host its first Student Voter Registration Day. The event – which will be held at every East Allen high school around lunchtime Friday – should "make a powerful statement," district spokeswoman Tamyra Kelly said. Students as young as 17 may register if they will turn 18 on or before the Nov. 6 general election. The deadline to register online for the upcoming election is 11:59 p.m. Oct. 9. Kelly appreciates having a nonpartisan organization assist with this effort. Nancy McCammon-Hansen, convener for the league, described the partnership with East Allen, along with some area colleges, as wonderful. The league has learned it's important to make special outreach efforts to people who will be 18 by election day, encouraging them to register to vote, learn about the issues and go to the polls, she said. "Young people can and should be looking at the future of our country because it is their future also," McCammon-Hansen said in an email. For more on this story, see Friday's print edition of The Journal Gazette or visit www.journalgazette.net after 1 a.m. Friday.